2014 was a banner year in metal for me, primarily because I made it to my first metal festival (Maryland Deathfest); the fact that said festival destroyed all of the expectations I had en route to being one of the premier music experiences of my life certainly helped that. More than any of the albums on my list, MDF XII stands out as the top metal anything this year, as well as one of the all-around highlights of my year (though not quite topping the Durfette and I getting engaged, because that was pretty bitchin' too). It's a nice feeling, because it feels like each year these lists get harder and harder, but the reason they're exponentially harder annually is because there's always so much new music to discover, which is fantastic. I've been working on this list for the past month, and even in that time albums have been released that have either been added to it or warranted serious consideration. It kills me every year, knowing that there's at least a decent chance that I completely missed the "best" album of the year, or the album that will eventually become my favorite for the year. On the other hand, perusing year end and Best Of lists is how I find things I missed, so I take solace in the fact that maybe I heard something you didn't, and by reading this post you'll be introduced to something you'll come to love. Or you'll wonder how in the hell I'm qualified to write for a metal blog in the first place (hint: I'm not). Either way, I hope this list finds you in good health, with music in your ears, a cold beer in front of you, and friends all around. 2014 was an insanely great year for metal, so soak it all up, because 2015 promises to bring even more. 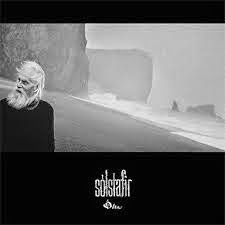 Ethereal, haunting melodies fill Otta, Solstafir's majestic fifth album. The vocals range from soft whispers to impassioned howls, while piano keys dance over pounding drums; the dichotomy between power and beauty is always at the front of your mind. While the actual "metal" quotient is dialed down quite a bit, the band has still brought forth a dark, majestic album that stays with you long after it's over, even if you don't speak Icelandic and make up the words you're hearing in your head. It's fitting that the cover art for Coffinworm's IV.I.VIII reminds me of the chest buster from Alien, because IV.I.VIII is as cold and desolate as space. Coffinworm has crafted a musical abyss in which hope is suffocated by distorted riffs and jagged vocals, the spiraling fuzz of "Of Eating Disorders and Restraining Orders" reminiscent of watching water swirl down the drain. It's certainly not uplifting, and definitely not for the faint of heart, but goddamn is it perfect when the mood strikes. Three years after the understandably somber Carnival is Forever, Decapitated returns with Blood Mantra, an album that keeps some of its predecessor's more progressive inklings while also doubling down on the technical death metal the band is known for. "Blood Mantra" is a groove-filled dance through the band's signature sound, while "The Blasphemous Psalm to the Dummy God Creation" is one of the most brutal songs the band has ever released. Decapitated remains the unquestionable top dog in the tech death pound. Releasing two albums with the same title after "leaking" an album made up of the two mashed together is some Hall of Fame-level trolling. 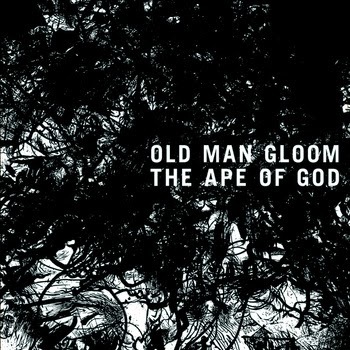 It also happens to be the least important, interesting, or relevant factoid about Old Man Gloom's dual album masterpiece. The Ape of God is a hard hitting beast of an album that punches you in the mouth, knocks you down, and puts its boot on your throat. 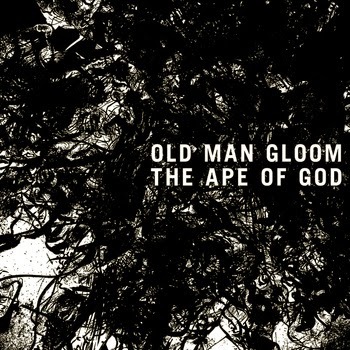 At the same time, The Ape of God is a dark, brooding pensive of long form sludge dirges, just begging to be listened to with headphones in your ear and a bong in your hand. That the albums work together as well as they do is no small feat, but neither is putting out two records this good at the same time. 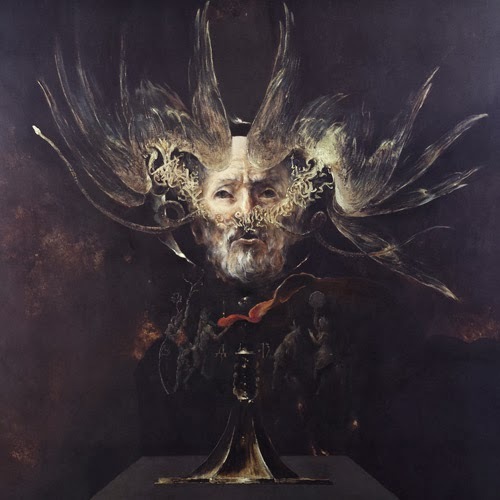 Favorite Song: "Arrows to Our Hearts"
I had a very hard time reviewing The Satanist when it came out, and in hindsight, it's because there really aren't words that describe the sheer power and magnificence of Behemoth's 10th (!!!) album. The Satanist is on an entirely different level musically than the band's previous output; from the head banging march of "Blow Your Trumpets Gabriel" to the shrieks that close out "O Father O Satan O Sun!" the band is firing on all cylinders. It's a remarkable accomplishment that Nergal was able to make this album at all; it's downright mind-boggling that The Satanist is a benchmark of extreme metal. Favorite Song: "In the Absence ov Light"
Chicago's Bongripper have never specialized in music anyone would rightly call "happy," but on Miserable, the instrumental doom masters descend into near unbearable levels of anguish. Fuzzed out riffs cascade over thundering bass and pounding drums, assaulting the listener with a sound so titanic that your shoulders hurt after taking the band's "Endless" "Descent" "Into Ruin;" the last track, at a brisk 35 minutes, isn't the longest song Bongripper has done, but it just may be their best long form songwriting to date. 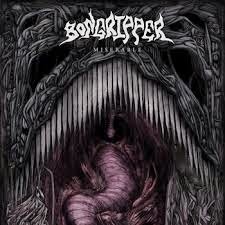 With all due respect to Gojira, Bongripper is the heaviest matter in the universe. I'm arriving way late on the Thou train, as Heathen is my first album, but godDAMN. Heathen is a sludge masterpiece, an album from front to back that wallows in that filthy, distorted sound while exploring lyrical themes along the lines of "There is no such thing as time/There is only this, this very moment." By putting that line in a song ("Free Will") that seems to last an eternity and an instant is sheer brilliance, and the rest of the album follows suit. With Heathen, Thou has released an album that allows you to get lost in the riffs or the lyrics, or meander back and forth between the two, blurring the line between music and philosophy. Favorite Song: "At the Foot of Mt. Drisskill"
Tom G. Warrior's been playing the metal game for a long, long time, so it's almost crazy to think that Melana Chasmata, his second album with Triptykon, could be the best work he's ever done. Until you listen to it, that is. Bombastic, high energy extreme metal at its finest, Melana Chasmata finds Warrior not so much blending genres as bending them to his will, twisting and molding them as he sees fit to create his masterpiece. It's a dark, moody album that simultaneously functions as an engine that can fuel a pit. Favorite Song: "In the Sleep of Death"
YOB have long been favorites in the metal underground for their DIY work ethic and choice in tours, so much so that it's easy to forget just how good their music is. 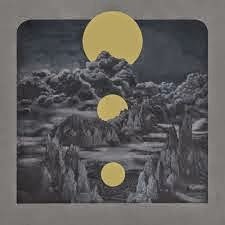 Clearing the Path to Ascend certainly reminded everyone; over four thoughtful, diligently constructed tracks, Mike Scheidt and Co. create possibly the best album in YOB's celebrated discography, intertwining pained lyrics with doom riffs that seem to wander, but always have an end goal in mind. It's fitting that Clearing the Path to Ascend is YOB's first album on Neurosis' Neurot Recordings; I can't think of any band working today more likely - or qualified - to take the legendary band's place at the top of the experimental metal pantheon. Favorite Song: "Unmask the Spectre"
Sunn O))) and Ulver have, respectively, always been at the forefront of the avant-garde movement within metal, never content to be confined to one genre or sound. So it makes perfect sense that Terrestrials, their collaborative effort, would be some kind of special. At three songs and about thirty-five minutes, Terrestrials has the track list and length of an EP, but listening to "Let There Be Light," "Western Horn," and "Eternal Return" straight through is exhausting, albeit supremely rewarding. I highly recommend putting this record on during a thunderstorm; it's like listening to the creation of the universe. Managing to not only live up to but exceed the hype generated by their incredible debut album Sorrow and Extinction, Pallbearer's sophomore effort Foundations of Burden finds the band opening up their doom sound while refining their songwriting technique. If you can visualize a concept like "arena rock doom," Foundations of Burden" fits; tracks like "Worlds Apart" and "The Ghost I Used to Be" are sonically HUGE, managing to be stellar examples of melodic doom metal while pushing out into something bigger, harnessing the sort of swagger and confidence that aren't typically associated with the genre. 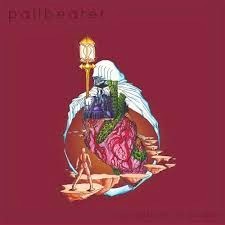 Foundations of Burden is an incredible leap forward for a band that could have stayed put and watched the accolades continue to roll in, and that lack of complacency makes Pallbearer one of the most exciting bands in metal - or any genre - today. Favorite Song: "The Ghost I Used to Be"
Continuing along the more progressive rock/less death metal path the began treading in earnest on 2011's Heritage, Pale Communion finds Mikael Akerfeldt fully embracing the sweeping changes he made to Opeth's traditional sound. Where Heritage sometimes came across as one-note and perhaps a bit self-involved, Pale Communion gets into a groove, blending proggy riffs and time signatures with haunting melodies to create a truly dark record. 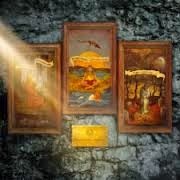 "Cusp of Eternity" puts some of the strongest vocals of the bands career alongside a hypnotic, chugging guitar riff to great effect, and "Goblin," an homage to the Italian band of the same name, is a mesmerizing, swirling fever dream of instruments that could feature Opeth's best use of the bass guitar to date. If you're still pining for Opeth at their progressive death metal apex, you may skip this one, but you're making a mistake; Pale Communion is the best, darkest, and most complete Opeth album since 2005's Ghost Reveries. I love discovering new things, bands included. There are few better feelings than finding a band or album you've never heard of before, pressing play, and being absolutely blown away. That's how I felt when I heard Cold Blue Mountain's sophomore album Old Blood for the first time. A seamless, perfect blend of multiple genres, Old Blood succeeds in building a cohesive, engrossing album that exceeds the sum of its parts. 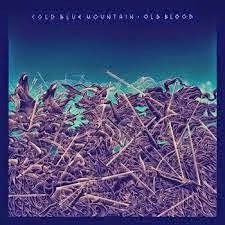 From the post-rock piano intro of "Seed of Dissent" to the crushing, doom-heavy bass in "Demise," Cold Blue Mountain is not afraid to wear their influences on their sleeve while simultaneously creating something new. I wrote in my initial review for this album that the band was one to keep an eye on, and nothing's changed. This is an album that you should be listening to. 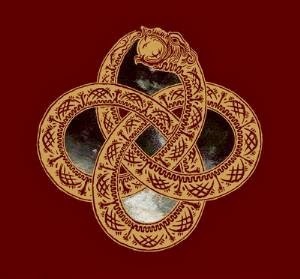 Favorite Song: "The Long Road Part 2: Capricious Miles"
First things first: The Serpent and the Sphere is a phenomenal album that sees Agalloch evolving a more cosmic sound, which was slightly surprising for a band that had until now been so rooted in the natural world. 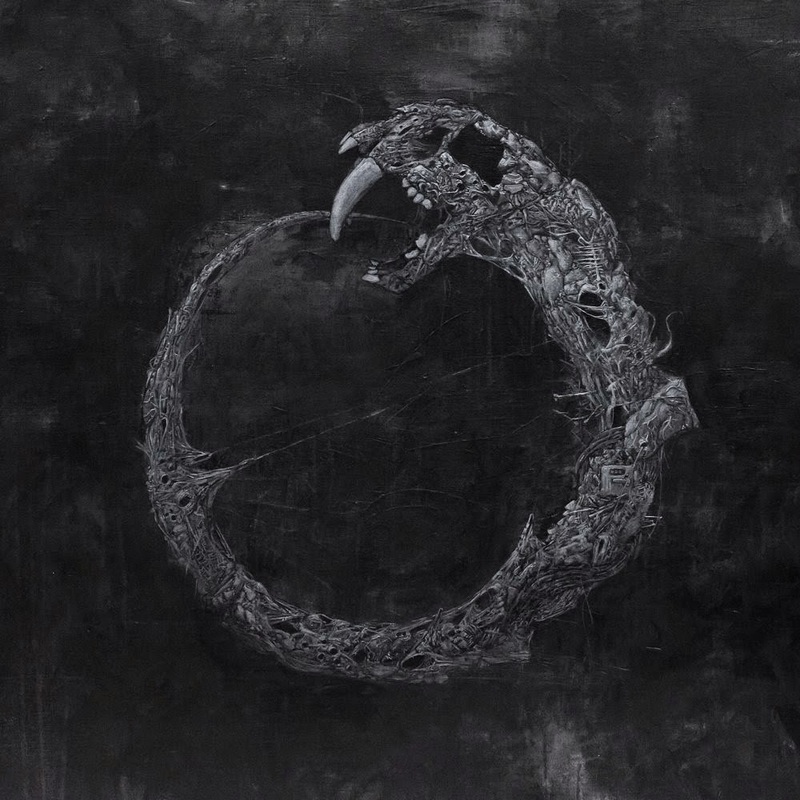 The oroborous of the cover art was matched by the album, as The Serpent and the Sphere flows in something Matthew McConaughey might call "a flat circle," with interlude tracks "(serpens caput)," "Cor Serpentis (the sphere)," and "(serpens cauda)" keeping a sort of running through line throughout the album. Additionally, "Plateau of the Ages" might be the best, most powerful song in a discography that boasts dozens of contenders. I don't want to downplay The Serpent and the Sphere at all; it is obviously my favorite album of the year, and one of the best albums I've heard. That said, it's important to note just how unsurprising it is that it's this good, because Agalloch has reached the level where phenomenal is routine, where the idea of the band releasing an album that is anything short of exceptional just seems impossible. 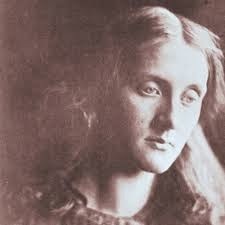 Since their debut album, Pale Folklore, in 1998, Agalloch has released five full length albums and 8 splits and EPs; four of the LPs are classics, and each of the EPs and splits have showcased a different side of the band, showing a willingness to take chances and not rest on the laurels of what came before. So it is with The Serpent and the Sphere; what could easily have been a very good, possibly excellent rehashing of Marrow of the Spirit or Ashes Against the Grain is instead its own work, and a phenomenal one at that. Agalloch is a band that has been at the absolute pinnacle of their craft for over a decade, and instead of stagnating or remaining content, they have continually pushed that pinnacle higher and higher. 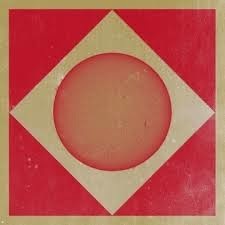 The Serpent and the Sphere is merely the latest album from their lofty heights, but I have no reason to think it will be the last. Did I miss anything (I know I missed something). 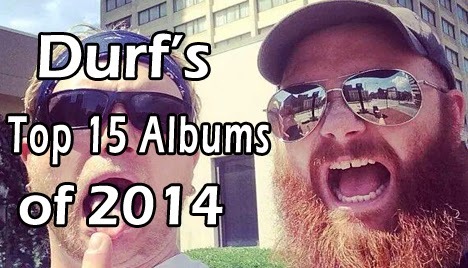 Tell me your favorite albums of 2014 in the comments!